Epson America is bringing hands-free interaction with YouTube to its smart glasses, which could set the stage for improved usability of applications like augmented reality. Users wearing Epson's Moverio BT-100 smart glasses will be able to play, pause, rewind, fast forward or select a video by tilting or turning their head in a specific direction. The capability is made possible through an application developed to enhance the end-user experience of YouTube. The smart glasses and hands-free YouTube capabilities will be demonstrated at the Google I/O conference, which will be held in San Francisco between May 15 and 17. Moverio smart glasses run on Android software and have technology that projects a virtual 80-inch display at the center of the user's view. The smart glasses being demonstrated have gyroscopes, accelerometers and magnetometers to track head movement, which ultimately enables hands-free playback of videos on YouTube. 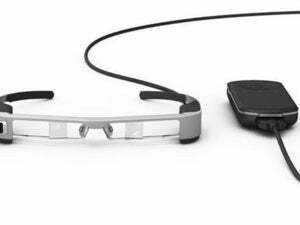 The Moverio glasses are tinted like sunglasses but are see-through, much like Google Glasses. But users can also block out the see-through capability to watch videos from the Internet. Users can also run Android applications on the glasses. The Moverio glasses are also connected to a remote that allows users to control or play back videos. They have Wi-Fi capabilities and also can display 3D images. Epson is widely known as a printer and projector maker. The company has already said it wanted to improve gesture-based controls on its smart glasses, and bringing hands-free interaction to YouTube could set the stage for improvements in virtual reality applications. The smart glasses are already available and are priced at $700.